Chicago, IL. 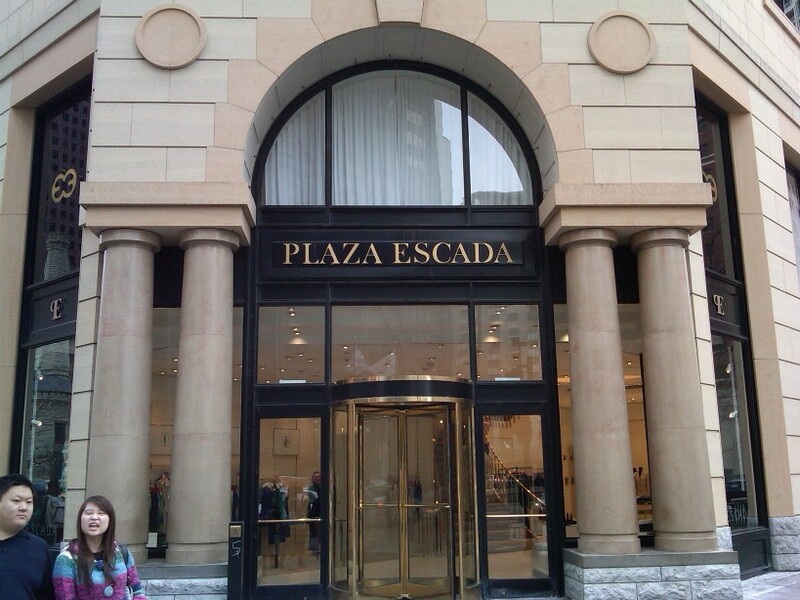 The Palladian, or Serlian window and flanking arches show up in grand scale on this commercial retail and office building. BACKGROUND AND INSPIRATION: Is postmodern a “style”? The postmodern era is most associated with architecture appearing since the late 1970s, continuing through today. Often postmodern architecture is referred to as neo-eclectic, essentially representing a loosely interpreted revival of historical styles mixed with modern construction techniques for newer houses. For commercial buildings, postmodernism represents an escape from the confines of the “anonymous glass box” of the International style. Instead of the modernist, “less is more” mantra, postmodern architect Robert Venturi famously retorted that “Less is a bore”. This reaction to modernism has led to an unending variety of forms and sleek, asymmetrical designs for commercial buildings. Postmodernism is often used as an allusion to the past, with multiple associations and meanings. It is a partial rejection of modernist thought, a return to traditional, historical precedents, a re-awakened interest in history and heritage. 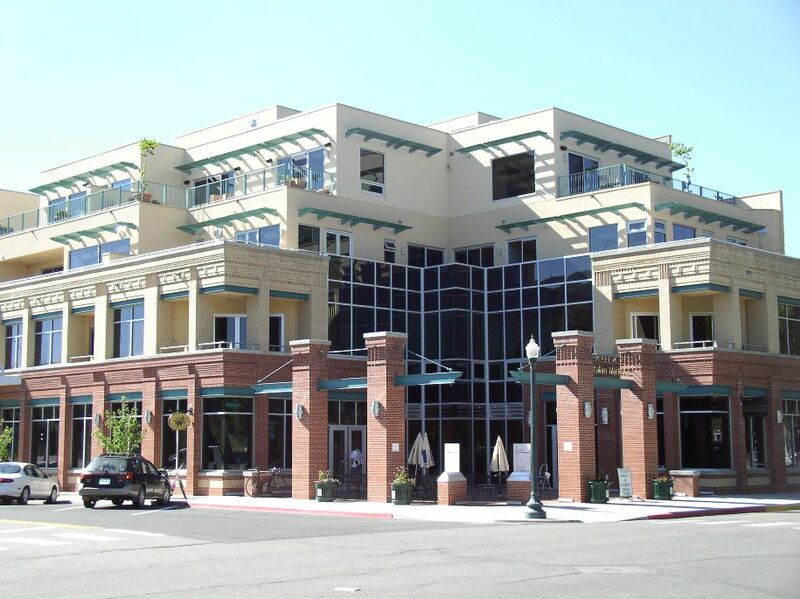 Postmodernism coincides with both the historic preservation movement and the new urbanism movement quite well. Historical features tend to be widely exaggerated, and the critics of postmodern architecture point to the fact that its architects do not necessarily try to replicate historic styles. Instead, postmodernism seemingly makes fun of the past, using a wide variety of historic forms, simplifying and mixing them into an unorganized, illogical jumble of a building. Others enjoy the trend away from strict functionalism, citing a nice “balance” between the sleek, technical look of modern architecture and the wide variety of historic forms that can be applied (I tend to agree with this latter perspective). For residential architecture, we see a variety of “neo” styles that represent a second or third round of revivals: neo-victorian, neo-mansard, neo-craftsman, and more neo-colonial revival that remains ever-popular. For More Photos of Postmodernism on Flickr, Click Here. Flagstaff, AZ. c.2000. 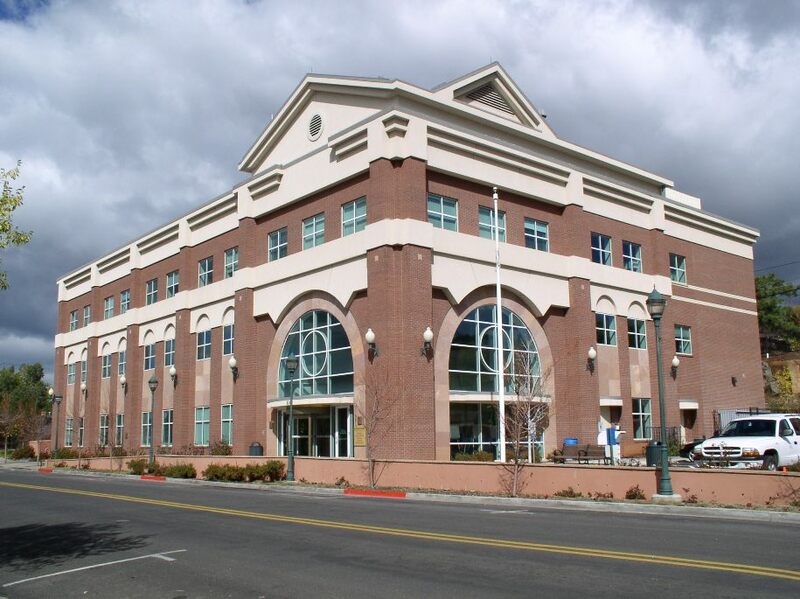 "New" County Administration Building, hinting at Romanesque Revival style that nods to the original court house of that style across the street. Durango, CO. A mixed-use retail and office building downtown, demonstrating a diverse array of surface materials, plate glass, set-back floors, and a clear disdain for the ordinary boxy building. Los Angeles, CA. 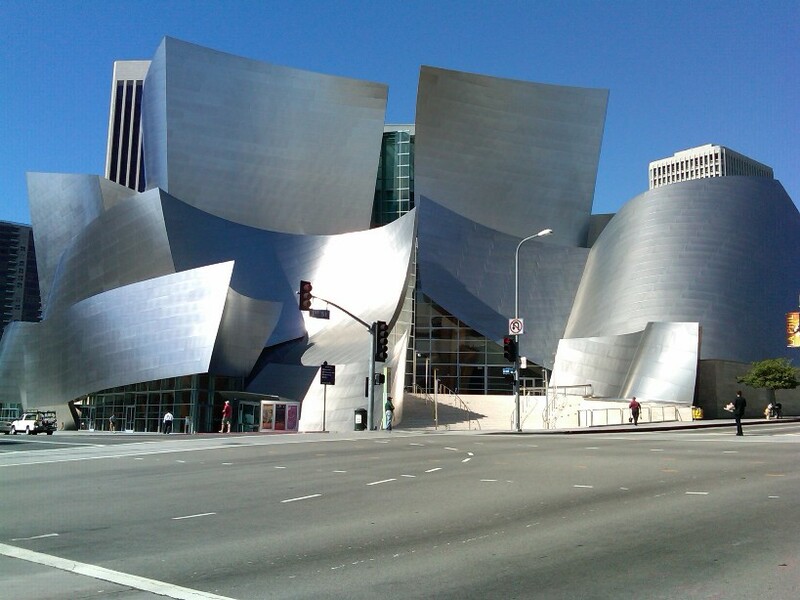 The Walt Disney Concert Hall, c.2003. Also considered to be an example of deconstructivist architecture which tears a building visually into a collection of fragments. Architect Frank Gehry. Los Angeles, CA. 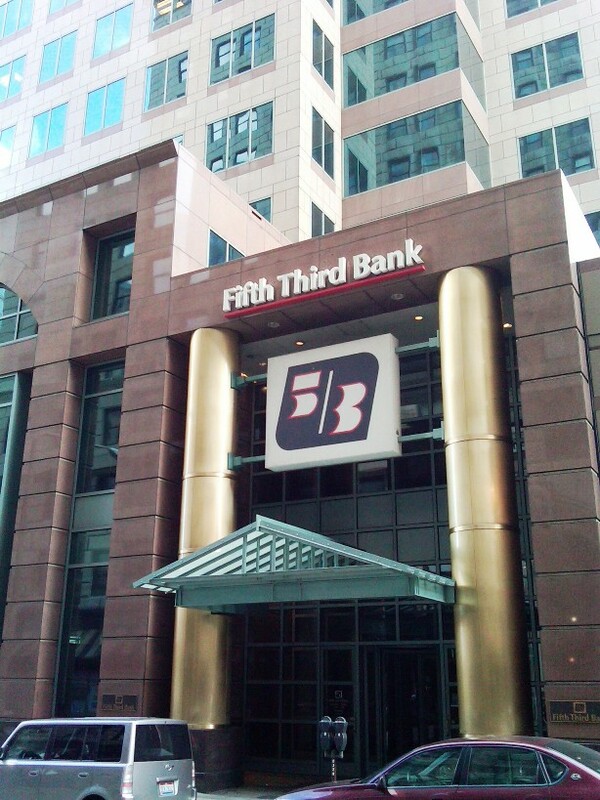 Caltrans District 7 Headquarters, c.2004. Architect Thom Mayne. 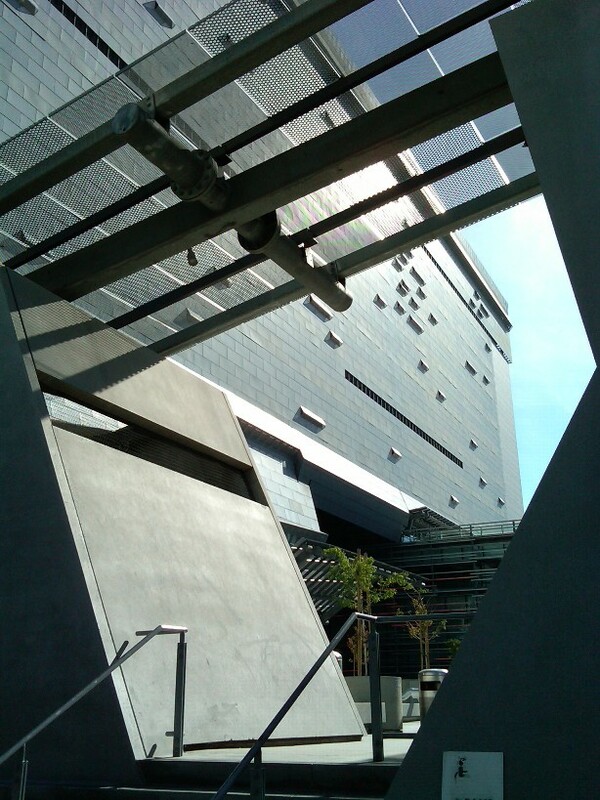 This recent addition to the downtown L.A. landscape provides a new layer of abstract designs and geometries only found in the recent postmodern era. Orlando, FL. 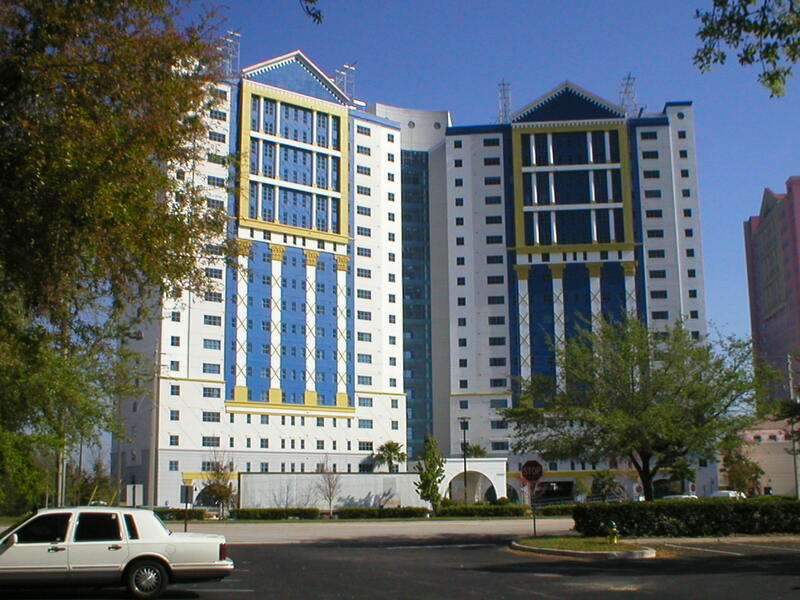 An otherwise rectangular hotel high-rise adorned with colorful allusions to classical columns and triangular pediments. Celebration, FL. 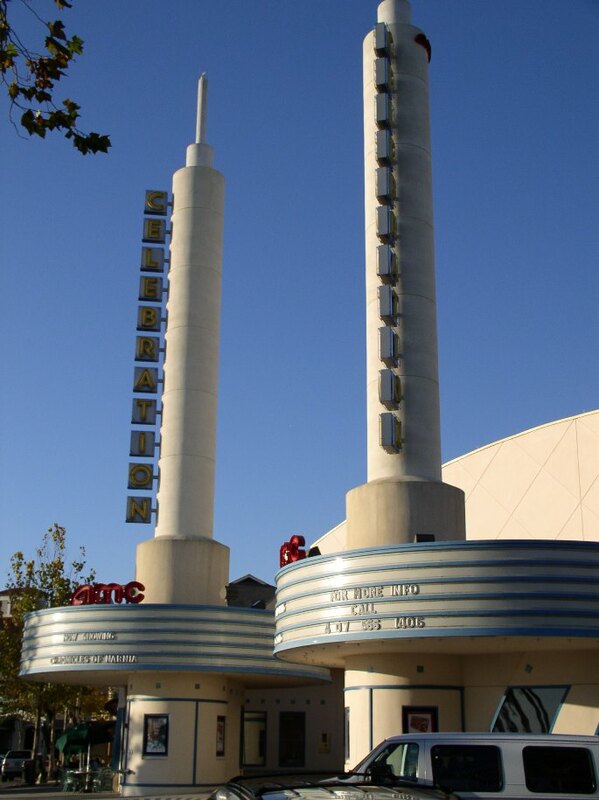 A 1990's interpretation of art moderne applied to the town's movie theatre. Cleveland, OH. A postmodern interpretation of simpliefied classical columns with appropriate symoblism through gold-plated grandeur. This site is a fantastic resource, thank you for sharing!